NRCC Chairman Tom Reynolds, from the Business Advisory Council sent me my National Leadership Award today, along with the picture of our great President. He wants “to personally thank me for agreeing to serve as an Honorary Chairmas of the NRCC’s Business Advisory Council from California.” According to the Press Release they sent to me (but did they send it to any “press”, probably not) I was appointed to the council for my valuable contributions and dedication to the Republican party. I have “long supported Republican ideals, particularly debt reducation and tax reform, and I will be a key member of the Council. Councilman Reynolds concluded his letter by saying, “Thank you for your support. I look forward to working with you on the council.” Well, I look forward to working with you too Councilman Reynolds. 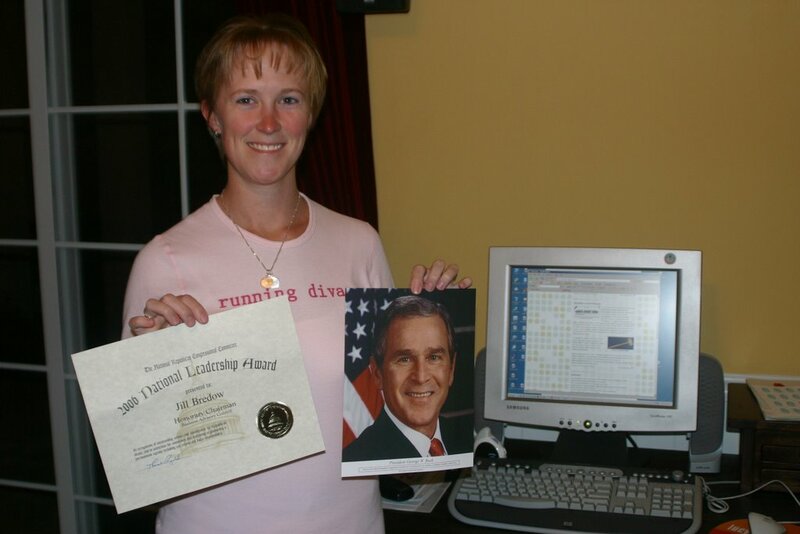 I will get right to work on that Confidential Chairman’s Survey that was included in my packet…as soon as I hang my certificate and picture of President Bush in a prominent place in my home.